Charles Smiley focuses his many talents on 10 shortlines. Unique, vintage diesel power are just one of the special facets of shortline operations. I was amazed at the amount of knowledge that is offered on ten shortlines. Highly engaging material, and the lines range from the expected 5 miles to much larger. This is a newer (2007) version of a 1998 release. Charles is always concerned about giving the viewers, the best possible versions of a program. He will; enhance, redo and add/ delete material for highest quality and enjoyment. Better sources and technological advancements are cornerstones. As Charles mentions, shortlines are perfect for model railroaders. Their smaller size is a natural fit to model. Smaller locomotives, shorter trains and less distance, are attractive. Interchange with a connecting class one railroad, offers even more possibilities. Unique to Charles Smiley railroad dvd releases, are his sense of balance. There are so many elements that go into all of his productions. Contemporary and vintage film, still photos, illustrations … restore and enhance as needed… combine that, with an interesting narrative, insider interviews, stories, info, viewpoints… add custom maps and on-screen graphics… add great natural sound audio, a bit of music… season to taste, and release the show! 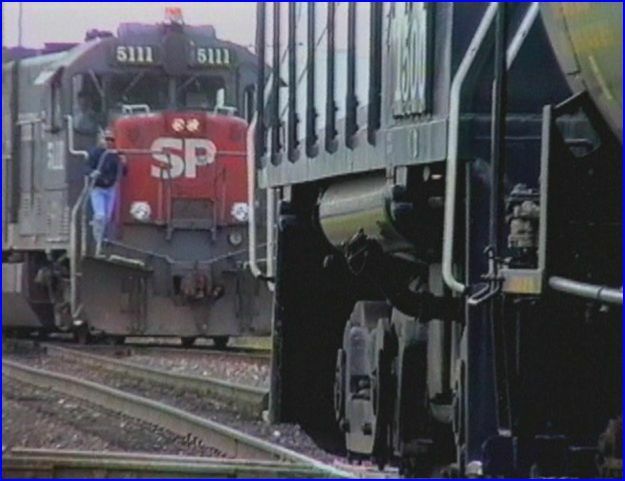 These are the pinnacle of train video programs. If you have never seen one, they are like watching a well produced PBS style program. Such outstanding coverage can inspire , new interests and directions for both, railfans and modelers. Extremely detailed explanations. This map is used to illustrate the former class one lines. Santa Fe and Western Pacific are also, individually explained for this single shortline. There is a Chapter menu, to jump around the lengthy program. A few shortlines get featured with extended visits. They vary widely, in size and operational scope. Single shipper focused, to tens of thousands of annual carloadings, from many online businesses. Charles begins with an introductory segment about shortlines. They are abundant in numbers. Their annual revenue makes them a combined force in the railroad industry. He clearly puts it all in perspective. As an aside, a funny moment is when a Rio Grande unit has a mother cowf running, with her calf following, ahead of the train. Gives a whole new meaning to a cow and calf combo! Seriously, the explanation and foundation, is excellent. 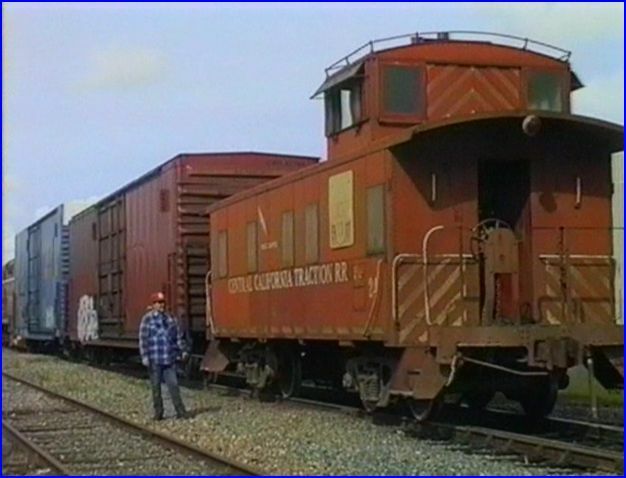 Central California Traction is a featured railroad. Stockton, CA. Rich history and continues to 1960’s and up. Vintage Alco film. 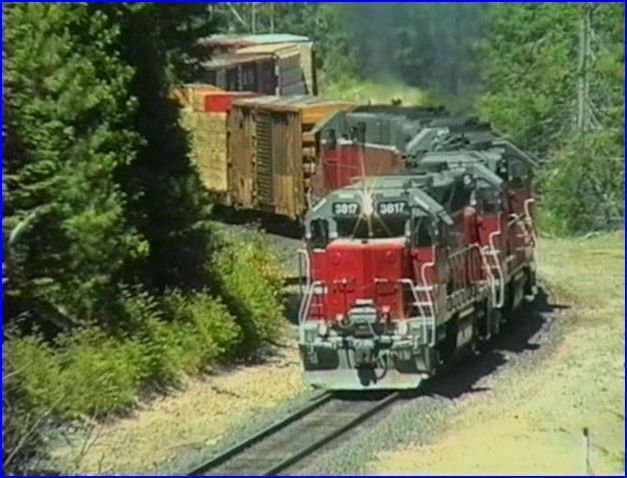 Current EMD era uses GP9 and GP18 locos. Classic, branchline type operations with street running, are seen here. 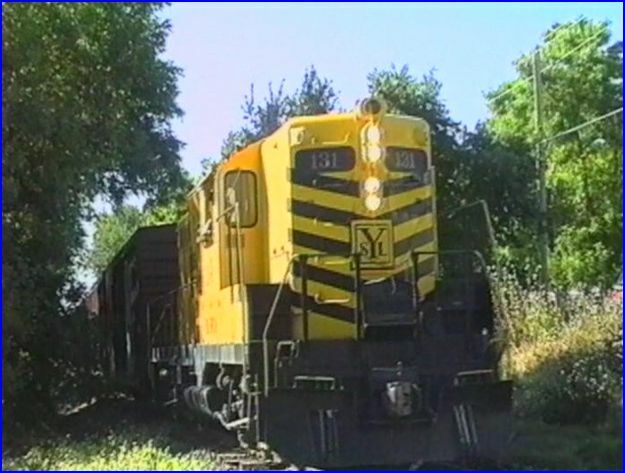 Amador Central operating with those popular Baldwin S12 switchers. As a: classic, country shortline, it has an extended feature. Historical to contemporary times. Replacement SW-1200 are in service too. This railroad is twelve miles long. Vintage film is also shown. Nicely done! 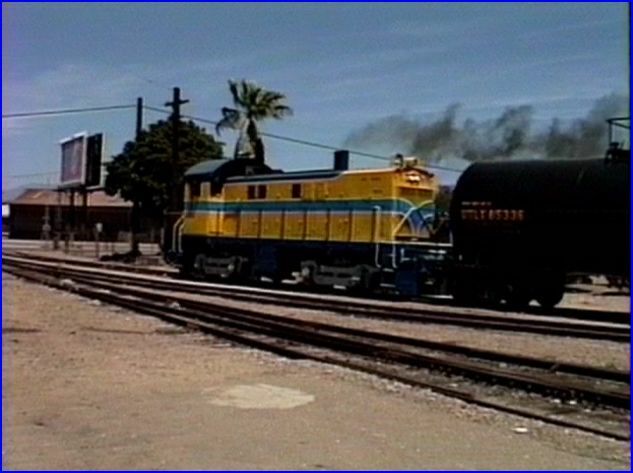 Stockton Terminal & Eastern, with an Alco S-2 in 1980’s. 8mm footage. 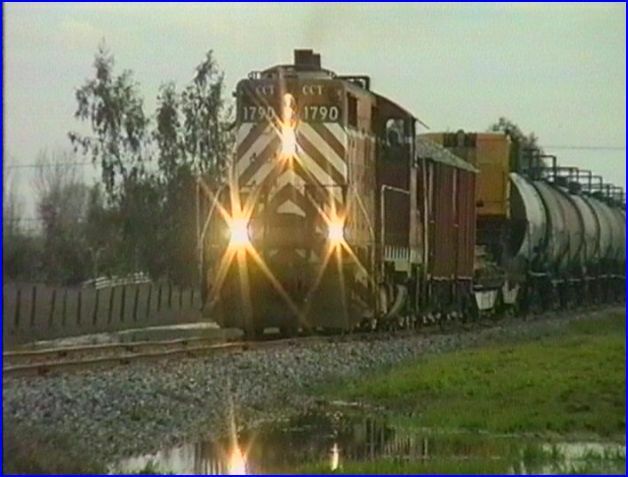 Modesto & Empire Traction is 5 miles long with GE 70 tonners. 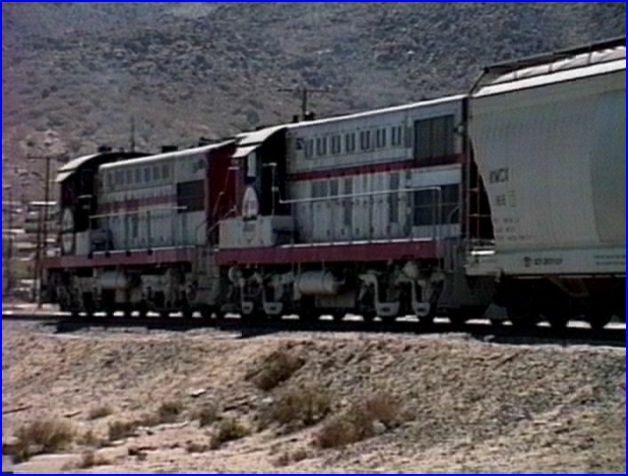 Multiple shippers generate 20, 000 annual carloads. Ventura County Railway Co. at Oxnard, CA. has a 9 mile operating line. Alco and SW1200 locomotives. TRONA features some early Baldwin diesels (AS-616). 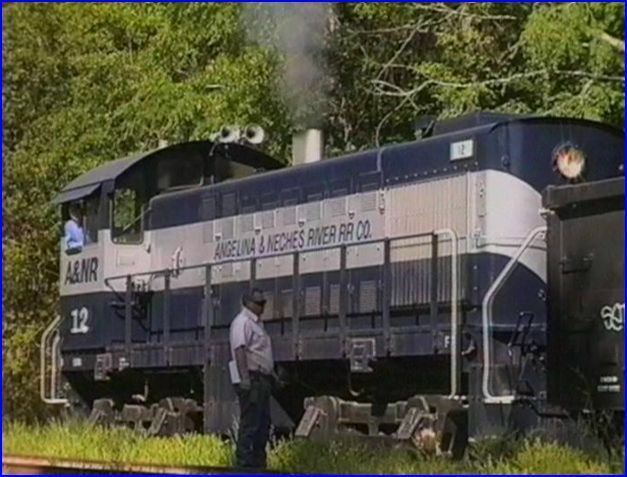 Angelina & Neches River Railroad, is another featured line, at Lufkin, Texas. Interchange connection with Southern Pacific/ UP, is viewed. Historical background builds the foundation for this shortlines success. An emphasis on the locomotives, with shop area access. At Prosser, a presentation of diesel engines and operational characteristics. Shop Foreman, Mark Reeves conducts this segment. 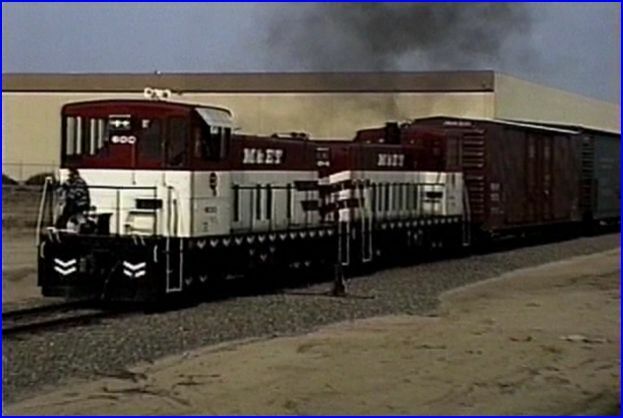 Closeup looks at: GP38-2, SW1500, and Alco S-4 motors. A cab ride in the S-4 , with Jerry Sims operating and discussing the Alcos is interesting too. 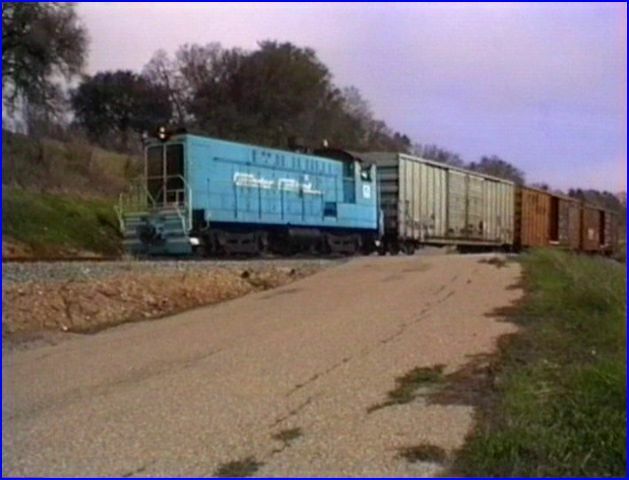 Also, a caboose is used and Charles Smiley provides the information. Gary Looney is the Assistant Shop Foreman and outlines the A&NR boxcar fleet. Nationwide tracking on this fleet is essential David M. Perkins is the President and he discusses the importance of customer service. Shortlines can excel at their personalized service. Smart, smooth and very informative chapter. Central Oregon and Pacific from Eugene, OR. to Black Butte CA. That’s near Mt. Shasta. 40,000 carloadings annually makes this a major line in this program. 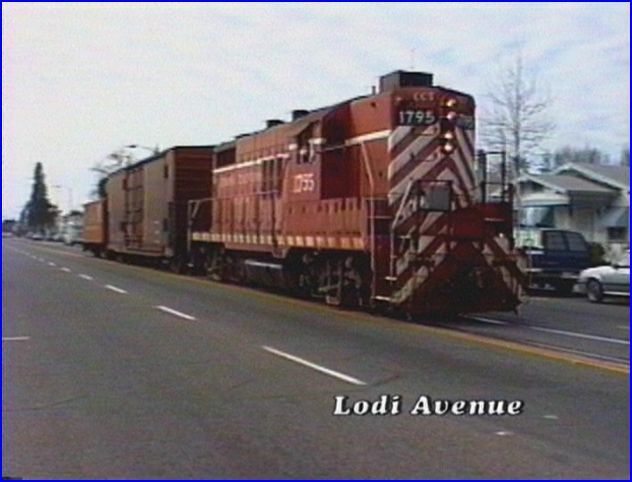 Grades upto 3.7% require EMD GP38-3 units in lashups of maybe a half-dozen to eight locomotives. 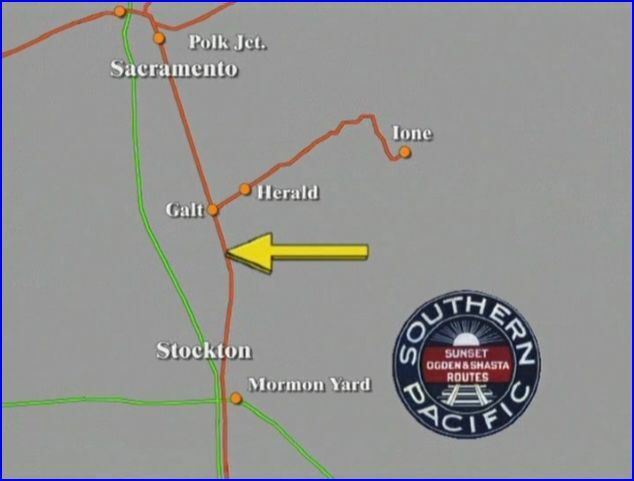 This is Southern Pacific’s former Siskiyou Line, reopened by CORP. Extensive operational focus. Plenty of excellent film, that documents the action. CORP Tunnels 13 thru 15 are clearly shown on one of the many custom maps within this dvd. I have become used to these maps, and they are always a great bonus on any CSP program. Some nice cab ride action on Bailey Hill. Another cab ride includes external footage with multiple cameras and is simply…. fantastic! This one features the 3 tunnels and a narrative from the engineer Bud Shirley on safe descent of the train. There is much more within this chapter. Truly excellent! If you are interested in shortline railroading, or just want to see something different from the standard mega roads. This is a no-brainer. A very enjoyable train video program. 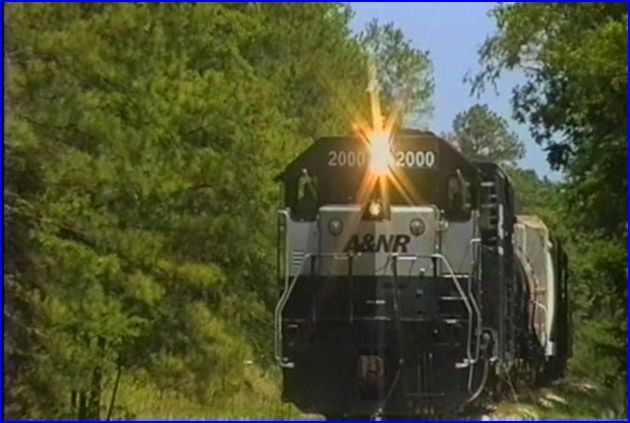 This entry was posted in ATVR Reviews, Charles Smiley Presents and tagged American Train Video Reviews, California, PBS style, Railroad, Southern Pacific, Train DVD, transportation, Union Pacific by William J. Hudson. Bookmark the permalink.